The NZ Superannuation Fund (NZS) is searching for a new head of investment operations. In a recently-placed job advert, NZS said the role includes leading a “team of fourteen, via three direct reports, that manages the administration of the Fund’s portfolio through controls and oversight at the total portfolio level, NAV [net asset value] reporting”. Nikki Bell is incumbent NZS head of investment operations. Last month former NZS chief investment officer (CIO), Matt Whineray, was named as chief executive for the $38.5 billion fund after a four-month stint as interim CEO. Following Whineray’s appointment, Mark Fennell, took on the acting CIO role while handing his responsibilities as general manager operations to Brad Dunstan – again on an interim basis. The NZS Guardians have yet to decide whether to recruit for a new CIO, NZS spokesperson said. Elsewhere, newly-confirmed permanent ANZ Investments CIO, Paul Huxford, has further recruitment for the equities team on the agenda, according to a spokesperson for the group. “One of Paul’s priorities in the new role will be to look at resourcing in the equities team, but no decisions have been made yet,” the ANZ spokesperson said. Huxford, acting CIO for the ANZ funds management arm since April this year, officially took on the full-time role last week after a lengthy recruitment process. Concurrently, ANZ is searching for a new head of Australasian equities – a position formally left vacant since the departure of Mark Brown last October for the CIO gig at Devon Funds Management. Meanwhile, another long-serving ANZ Investments portfolio manager, Craig Brown, is acting head of Australasian equities for the $28 billion plus business – the country’s largest non-government funds manager. It is understood, ANZ was also close to naming a new Australian equities external manager for an approximately $900 million mandate. Incumbent ANZ Australian shares manager, Arnhem Investment Management, told clients last month it would close operations. In a statement last week, Craig Mulholland, ANZ Wealth head, said Huxford’s global experience – which includes long-standing senior equity research roles with JP Morgan in Europe – was a key factor in his appointment. “This international perspective is increasingly important to our growing funds management business as we work to continue to deliver consistently good investment performance for our KiwiSaver members, Private Banking and wholesale investment clients,” Mulholland said. 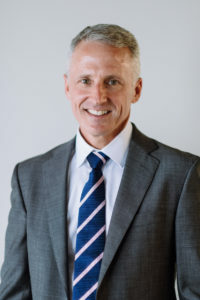 Huxford replaced long-serving CIO, Graham Ansell, who quit in April following a more than two-decade long career at ANZ. In his LinkedIn page, Ansell describes his current calling as ‘self-employed traveler’. Across the Tasman, Mercer is also on the hunt for a new head of portfolio management, reporting to CIO, Kylie Willment. According to the job description: “The key responsibility of this role is to lead manager selection and portfolio construction at the asset class level for the Mercer Pacific Funds. Also last week in Australia, multi-boutique firm, Legg Mason, hired Christina Manonian as institutional sales director. Previously head of institutional sales for Franklin Templeton in Australia and NZ, Manonian, takes up her new role at the end of July, reporting to Legg Mason Australia business chief, Andy Sowerby. Franklin Templeton is recruiting to fill the vacancy but new managing director, Matthew Harrison, who joined in January, has also created the position of head of investment and consultant relations, being filled by Amy Teh from Colonial First State. Stephanie Hukins, who currently looks after consultant relationships, will report to Teh, a spokesperson said. In addition, Felicity Walsh has been promoted to head of ‘institutional and alternatives’, in charge of all institutional distribution. She was previously in charge of alternatives, such as K2 Advisors, having joined the firm in 2015.